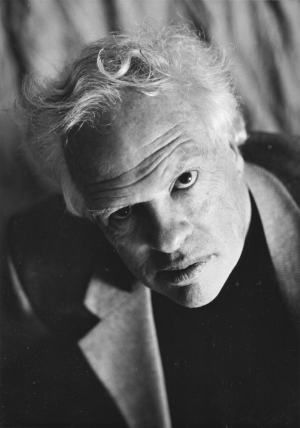 D. M. Thomas is a British novelist and poet, born and living in Cornwall. His novel The White Hotel was an international bestseller and shortlisted for the Booker Prize. It is rightly considered a modern classic, translated into more than 30 languages. John Updike said of the book: ‘Astonishing … A forthright sensuality mixed with a fine historical feeling for the nightmare moments in modern history, a dreamlike fluidity and quickness’. His latest book, Hunters in the Snow, is his first novel for 14 years, the last being the well-received Charlotte, published by Duckworth in 2000. Thomas was born in Redruth, Cornwall. He attended Trewirgie Primary School and Redruth Grammar School before graduating with First Class Honours in English from New College, Oxford in 1959, after which he became a teacher and was head of the English Department at Hereford College of Education, before becoming a full-time writer. In the 1950s, at height of the Cold War, Thomas studied Russian during his National Service. He retained a lifelong interest in Russian culture and literature. This culminated in a series of well-received translations of Russian poetry in the 1980s. He lived and worked in Australia and the United States before returning to his native Cornwall. To find out more why not visit Don's website.